across the isolated regions of Canada's northern territories, to the shores of the Hudson Bay. Below you can watch 2600 above 60, the gorgeous documentary that follows the crew through 2600-miles of unparalleled adventure! Click here to order your copy! 2600 above 60 from Peter Marshall on Vimeo. 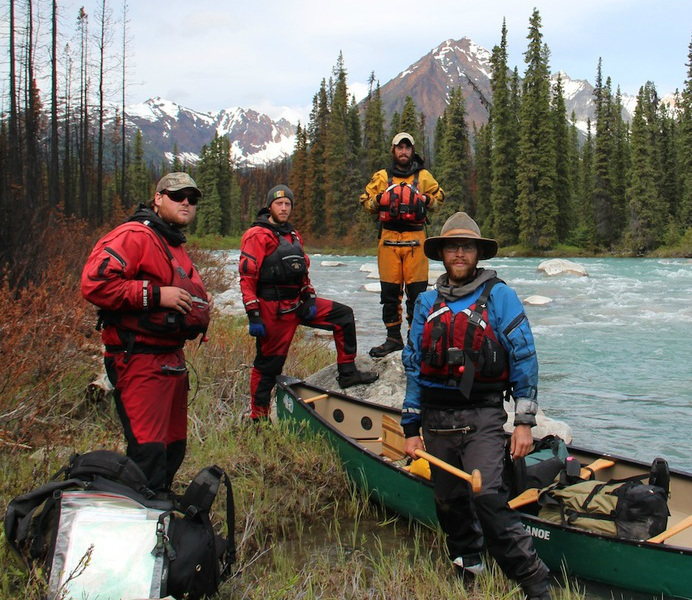 2600 above 60 follows the 2600-mile canoe journey through some of the most adventurous and gorgeous land on earth. Order your copy here to watch the four-man team travel through mountain passes and blizzards, ice-choked lakes, up mountain rivers that raged with spring flood, and into the hostile but beautiful cold of the Arctic. On this site you can learn more about their exciting journey. Read the blog entries, explore and view additional pictures taken on their route, and if you have any questions or just want to say hi, we insist you drop us a line.